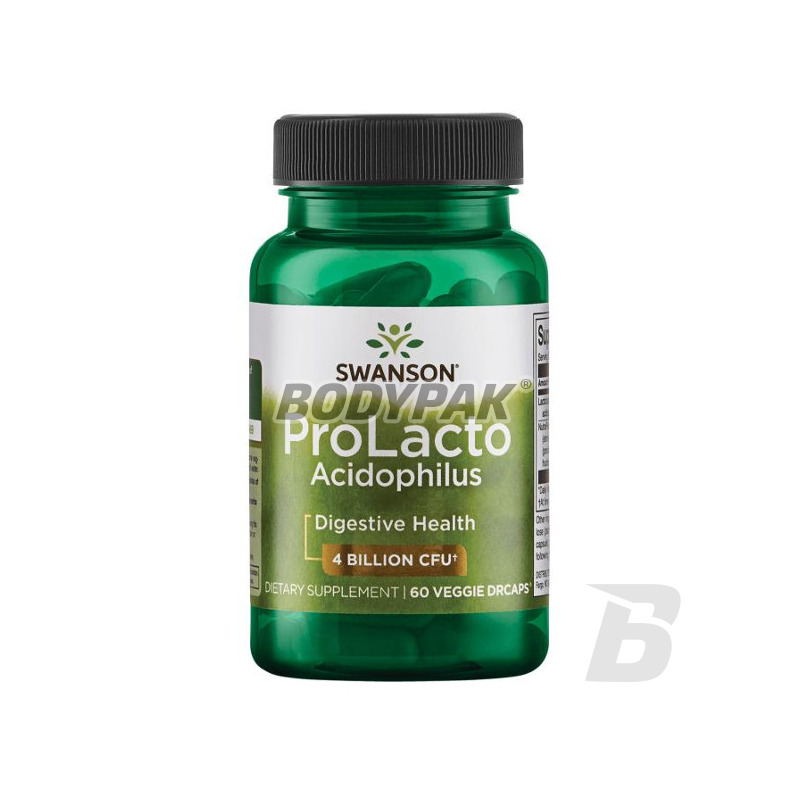 Health & BeautySwanson Probiotic ProLacto Acidophilus - 60 kaps. 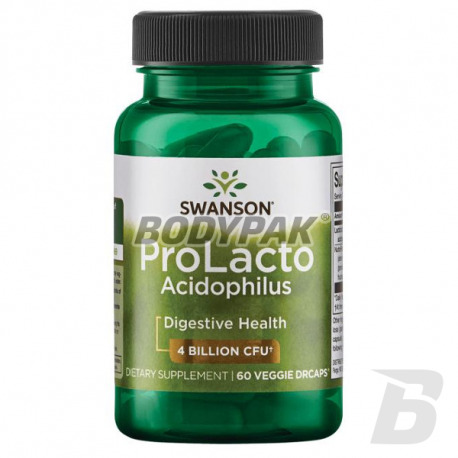 Swanson Probiotic ProLacto Acidophilus - 60 kaps. The supplement provides up to four billion one of the major strains of Lactobacillus acidophilus in one capsule to exceed its salutary for the body part in the gastrointestinal tract. In addition, the product contains up to 125mg of prebiotics - patented by NutraFlora fructo-oligosaccharides FOS. Probiotics allow the fat pad of Celite to perform its functions, purifying and detoxifying the body, enhancing peristalsis and reducing the weight of the stool. Probiotics affect the immunity of the body by stimulating the immune system. It has been found that probiotics act effectively in infections of the genitourinary tract, and the irritable bowel syndrome. Any person receiving antibiotics should take care to provide the right amount of probiotics because every antibiotic treatment destroys our beneficial microflora. Prebiotics are nutrients which can not be digested and their beneficial effect on the body is to stimulate the growth and activity of probiotics.